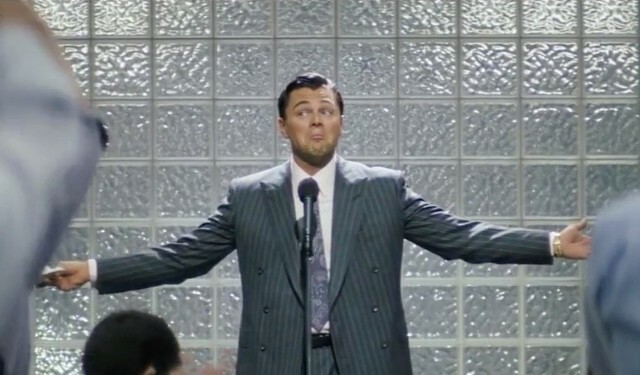 Hollywood has run into the habit of reusing ideas and stories over and over again, which has led many people to believe that the industry is devoid of original ideas. While some films can feel flat and unoriginal, it is still understandable why Hollywood continues to recycle old properties. And whenever something original does appear in the film market, it will likely spawn it’s own franchise and continue the cycle once again. Many filmmakers often look to works of literature or historical documents for inspiration and they usually make an adaptation of something that has already been attempted by someone else. The most interesting thing about multiple adaptations are the different variants that we do see portrayed in the characters of the story, and how they both define and redefine the stories through the multiple versions. That is why I am starting this new series of articles where I look at characters that have made it to the silver screen multiple times through different interpretations, and examine how well they have stayed true to their roots and/or how they’ve been redefined over time. 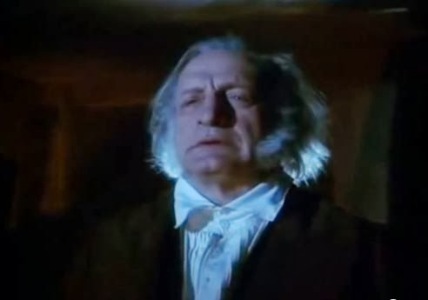 Because we are now days away from Christmas, I thought that a worthy candidate to examine in this article would be Mr. Humbug himself, Ebenezer Scrooge. 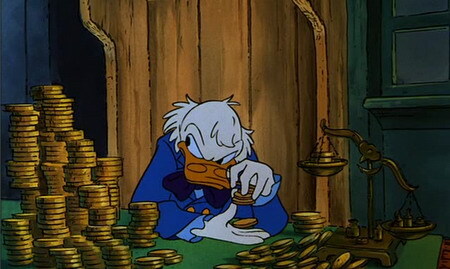 Scrooge, the main protagonist from Charles Dickens’ perrenial classic, A Christmas Carol, has been one of the most widely reused characters in cinema history. It seems like there are hundreds of cinematic versions of A Christmas Carol, all with Scrooge at the forefront, as well as many Christmas themed films that feature some Scrooge-esque character in some fashion. No matter where he turns up, Ebenezer Scrooge has almost become as recognizable a Christmas icon as Santa himself. And it’s not hard to see why. The story of a cynical, uncaring old man who hates Christmas until he is visited by three ghosts on Christmas Eve and is shown the true purpose of the holiday is a heartwarming story for anyone to enjoy at this time of year. The narrative is less about the Christmas season, and more about how we treat our fellow man; a lesson that Scrooge is in desperate need of learning. Dickens wrote the story to highlight class inequality in his time, but unlike many of his other stories, Christmas Carol has a more optimistic outlook. It’s Scrooge’s redemption that we find so inspirational and it’s no wonder why so many filmmakers have wanted to tackle this story over the years. I have chosen a few of the more notable adaptations of the character to look at and see how they have come to define the person that is Ebenezer Scrooge. While A Christmas Carol has been adapted many times in cinema before this 1951 British production, this was the one that really left a mark and has gone on to become a universally beloved classic. 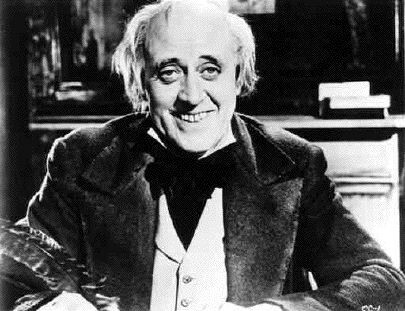 The film itself is well done and treats the source material with the respect that it deserves, but what makes it particularly memorable is the performance of actor Alastair Sim as Scrooge. Talk about someone making the role all his own. Sim’s performance is exactly what you want to bring old Ebenezer to life. He’s intimidating and cruel during his harsher earlier moments in his office, but vulnerable and sympathetic when he takes his overnight journey with the ghosts. Sim balances out both of these aspects perfectly, and always takes the role seriously. While the acting style may seem old-fashioned to today’s audiences, it still comes across as charming, and is very much a representation of the old, classic Hollywood style. No one can be sure if this is the way Charles Dickens wanted the character to be portrayed (he may have taken issue with some of the softening of the story’s darker themes), but Sim’s performance just feels right. His work in this film has been the measuring stick for every version of Scrooge that has come after, and it’s easy to see why. His version of Scrooge may not be the most interesting, or the most intense, but it is a version that probably defines the essentials of the character most clearly. In between the Alastair Sim version of the character and this one, there were very few cinematic adaptations of the story. The only noteworthy adaptation in between was an animated version where Scrooge was played by Mr. Magoo. But in 1970, British filmmaker Ronald Neame took upon a lavish, musical version of Dickens classic story and cast Albert Finney in the iconic role. Now, while the film features some beautiful set pieces and portrays it’s time period very well, the movie still does have a lot of flaws that keeps it from becoming a true classic. 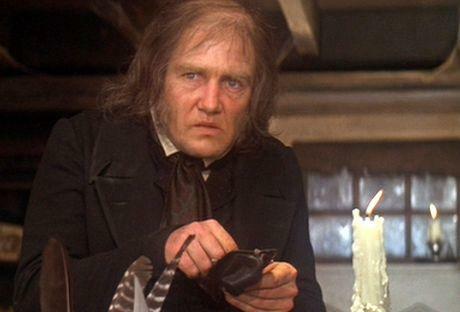 One of the problems that I think hurts the film the most is the portrayal of Scrooge himself. Albert Finney is a fine actor, and I don’t fault him for trying here, but his performance just doesn’t feel right for the character. He portrays Scrooge more like a caricature of an old man rather than as fully-fledged human being. In Dickens novel, we come to understand that much of Scrooge’s miserliness has come from a lifetime of hardship and disappointment, which has made him cold and uncaring. Finney just boils that down to a permanent scowl and an aching back in his portrayal. While the film looks nice, it feels hollow and I think that’s the fault of the filmmakers missing the point of the story. You can make the film work with a more light-hearted tone, but it helps more when your main character feels authentic and less cartoony. Speaking of cartoons, Disney Animation tackled Dickens story as well with their stable of classic characters filling all the roles. Eternally optimistic Mickey Mouse was naturally cast as eternally optimistic Bob Cratchit; Goofy portrayed Scrooge’s deceased partner Jacob Marley; Jiminy Cricket stepped in as one of the Ghosts, as did Willie the Giant. But, of course the role of Scrooge had to belong to Donald Duck’s wealthy uncle, who naturally was inspired originally by the classic character. Scrooge McDuck was created by artist Carl Barks for the Donald Duck series of comic books in 1947, and surprising it took him this long to make it to the big screen. The long wait proved to be worth it, as Scrooge McDuck fills the role perfectly. Voiced by actor Alan Young, Scrooge is definitely the star of this adaptation and is even able to steal the spotlight away from the likes of Mickey Mouse himself. It’s very likely that for anyone who grew up in the last 30 years (myself included), this was the version of the classic that we first became familiar with. And that’s not a bad thing either. It is a remarkable feat by the Disney company to tell the entire story in only a 25 minute run-time, and still get the essence of the story right. I think that mainly has to do with having a Scrooge at the center that we can care about, which Scrooge McDuck indeed is. His presence here was so effective in fact that McDuck was given his own TV series, Duck Tales, which has made him one of Disney’s more popular characters in recent years. George C. Scott is an actor known for his intensity, which he brings to every role of his whether it requires it or not. So, when this made for TV movie cast him in the role, you would think that Scott would have portrayed a very rough around the edges Scrooge. But what is surprising about his performance here is actually his restraint, which as a result is a great benefit for the adaptation as a whole. Like I mentioned before, Scrooge is a man who has gone through a lot of heartbreak and disappointment in order to get where he is, and that’s what has turned him into a miserable person. George C. Scott captures that aspect of the character much better than Albert Finney did, and for that matter, even Alastair Sim. This Scrooge proves to be the deepest and most interesting to date, because the production and the actor portraying him pull back the layers to show the man behind the rough facade. This version of the story focus a lot more on who Scrooge really is and how every moment of his life has shaped he is today, and how that knowledge can help him to change. Again, Scott treats the character with respect and dignity, which makes him all the more fascinating. It’s unusual to find a film made for television that actually has this kind of depth to it, but that’s the result of having a quality performer at it’s center. Scott could have gone over the top, but by showing restraint, he helped to redefine the way we see the character. The great thing about adaptations is that if the story is strong enough in it’s overall themes, you can re-imagine it in any time period or setting that you want, as long as it stays true to the heart of the original intent. With the 1988 comedy Scrooged, we find the classic tale depicted in a contemporary setting, with Ebenezer Scrooge re-imagined as a callous and self-absorbed TV executive named Frank Cross, played by the always brilliant Bill Murray. Murray may not be the crotchety old man that we always associate with Scrooge, but he does perfectly capture the sharp cynicism of the character, in some very hilarious ways. The film, directed by Richard Donner, is surprisingly dark for a comedy, and is definitely not geared towards a family audience like the other films I highlighted. 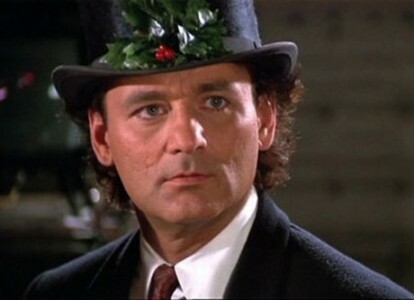 But thanks to Bill Murray’s excellent performance, we still get the essentials of A Christmas Carol here, particularly in the portrayal of Frank Cross’ redemption. The particular highlight of the film is Bill Murray’s long winded monologue at the end, where he interrupts his own adaptation of the classic story, which is being broadcast live on TV, to show the lesson he has learned about the holiday spirit. It’s silly and over-the-top, but man does Murray deliver it well, and the holiday spirit it inspires is infectious. This scene in particular is why the film has become a beloved holiday classic on its own, and it shows that even Scrooges in our present day can still capture the imaginations of their audience. 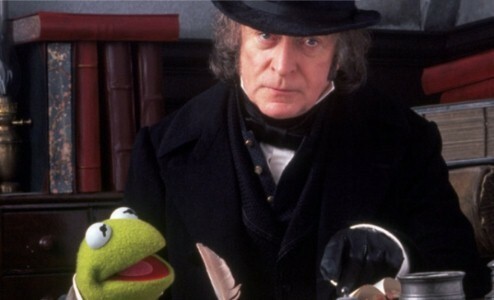 Charles Dickens meets the Muppets. Not a match that you would ever think would work, and I would be lying if I didn’t say that it doesn’t entirely come together perfectly here. But, The Muppets Christmas Carol does have a lot of charm and actually manages to do a little-hearted take on the source novel that still retains much of the story’s core darkness. And where I think the movie succeeds the most is in the casting of actor Michael Caine in the role of Ebenezer Scrooge. Caine’s performance manages to be as light-hearted as Albert Finney’s, but retains the restraint of George C. Scott performance. And it’s a balance that makes him a perfect fit for this sort of film. I mean c’mon; his co-stars are all Muppets. The fact that he’s able to look at these characters like they were real human beings and make it believable is just a testament to just how good of an actor he is. At the same time, Michael Caine’s performance helps to ground the production as a whole, making the film work as a worthy adaptation of Dickens’ story, for the most part. The film only suffers when it tries to inject some unnecessary modern jokes and gags into the narrative, but these are thankfully very minor. Like with Mickey’s Christmas Carol, this is a version of the story that I’m sure many people were introduced to as kids, and thanks to Caine’s stirring performance, it a version that helps to helps to stay true to the character of Ebenezer Scrooge. The most recent incarnation of the story-line brought Dickens’ classic into the digital age through motion capture technology. Directed by Robert Zemekis, this film looks nice and portrays the classic Dickensian setting on a grand scale, but the motion capture technology used on the characters proves to be problematic. While it is neat to see an actors physical performance translated into a digital character like it does here, it has the unfortunate effect of making the characters look plastic and hollow. 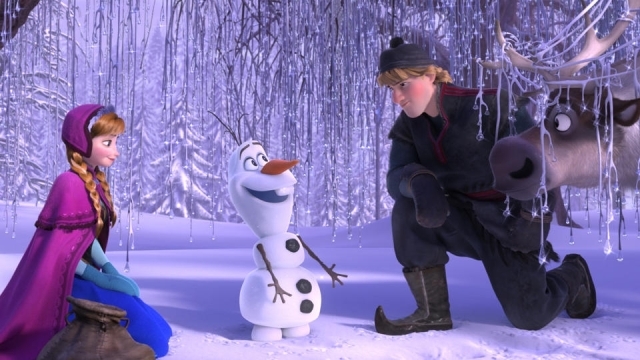 There comes a point where the characters reach what is known as the “Uncanny Valley,” where audiences sees something that looks real but they know it’s not, and as a result are repulsed by it. That’s the unfortunate problem with films like this one, but the character that works surprisingly well in this movie is Scrooge himself. It’s probably because he is being played by Jim Carrey, an actor known for his physical comedic styles, and he helps to make the character feel much more alive as a result. Jim Carrey’s performance is a welcome standout in this problematic film and hopefully it will not be forgotten even after people loose interest in the motion capture mode of film-making over time. As you can see, there are many different ways in which you can bring a character to the big screen through multiple adaptations, and what helps them stand out from one another shows us all the many layers you can add to the same individual. 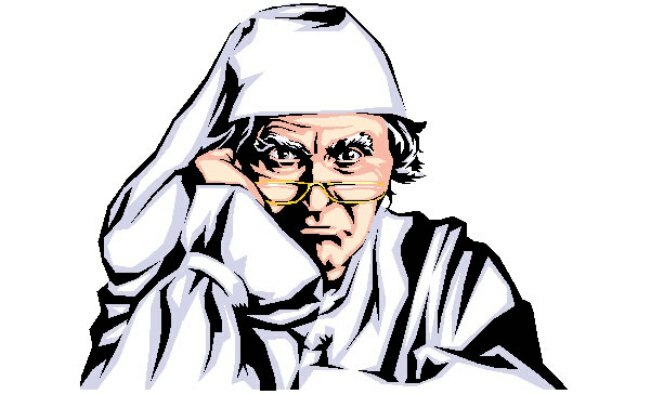 Ebenezer Scrooge is fascinating not just as a Christmas icon, but also as an individual person. We all like stories about redemption, even when it’s aided by something as unlikely as visits from the supernatural, and this has been the appeal behind the story all these years. Even when you do the flipside of the story, like in It’s a Wonderful Life where a good man has to learn about his own value in order to be redeemed on Christmas Eve, we can still see the impact that this classic story has had, even when it’s not readily apparent. Thankfully there have been some great Scrooges brought to the big screen over the years. While I have a special attachment to the Scrooge McDuck version from my childhood, I nevertheless value George C. Scott’s multi-layered portrayal and Alastair Sim’s classic version of the character. And who doesn’t love it when Bill Murray lets loose in his version. Most likely we’ll be seeing old Ebenezer again on the big screen; probably sooner than later. But, for this Christmas season, I’m sure that some of these versions will definitely be on many of your holiday playlists. We’ve reached the end of another calendar year and of course that can only mean that it’s Holiday season once again. Whether we are celebrating Christmas, or Hanukkah, or whatever, it’s a time of the year where we all gather together and honor family, tradition, and the gift of giving. What’s interesting about Christmastime, however, is just how much the holiday tradition is actually influenced and centered around Holiday themed movies. A Holiday film can pretty much be considered a genre all it’s own, since so many of them exist out there, and are created specifically to invoke the holiday spirit. Not only that, but they are movies that we continually return to every year around this same time, like it’s part of our holiday ritual. This doesn’t happen with every Christmas themed movie, however, since many of them try to hard to hit their mark and fail spectacularly. And yet, we see small films that no one thought much of at first grow into these perennial classics over time, and in some cases add to the overall Christmas mythos that defines the season. But, how do we as an audience discern the classics from all the rest? What really separates a Miracle on 34th Street from a Jingle all the Way? Quite simply, like with most other movies, it’s all determined by what we bring from our own experiences in life when we watch a movie. The emergence of perennial holiday classics is nothing new in pop culture and actually predates the beginning of cinema by a good many years. Literature has contributed holiday themed stories in both short form and novels for the last couple hundred years, helping to both shape and reinvent Christmas traditions in a very secular fashion. Our modern day physical interpretation of Santa Claus can in fact be contributed to his appearance in “Twas the Night Before Christmas,” the 1823 poem by American author Clement Clarke Moore. Moore’s nearly 200 year poem is still being recited today and it shows just how much tradition plays a role in keeping a perennial classic alive in the public’s eye. Around the same time, acclaimed British novelist Charles Dickens wrote the story of A Christmas Carol, chronicling the tale of Ebenezer Scrooge and his visits by three ghosts on Christmas Eve. Since it’s original printing in 1843, A Christmas Carol has gone on to be one of the most re-adapted story-lines in history. Perhaps nearly a quarter of all holiday classics can claim to have been influenced by Dickens’ classic tale, where a dreary old cynic has his heart warmed by the holiday spirit. Dickens meant for his novel to be a meditation on greed and class inequality, but I have no doubt that he purposefully meant for Christmas traditions to be the healing influence in Scrooge’s reawakening. These stories continue to stand strong so many years later and it shows just how far back our culture began to value Christmas stories and songs as a part of the holiday tradition. 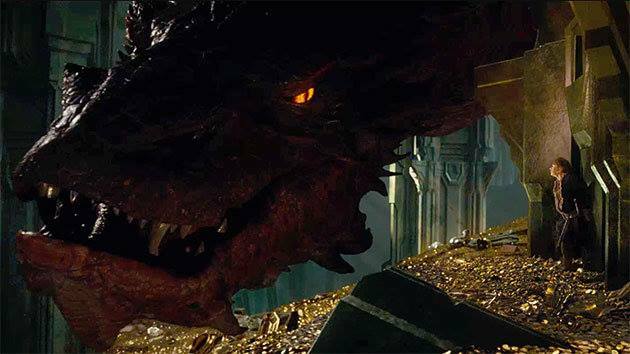 Even from the very outset of cinematic history we saw films carry on holiday themes. Both Twas the Night Before Christmas and A Christmas Carol provided inspiration for movie-makers many times, given their already beloved appeal, but some people in Hollywood also saw opportunities to add their own original holiday themed stories into the mix. When the studio system emerged, they were very well aware of the marketability of a holiday themes. After all, people usually visited movie theaters frequently during the cold winters, so why not play up the festive mood that everyone was already in. For the most part, movies celebrated Christmas more frequently in short segments than in full length story-lines in these early years; whether it was capitalizing on a new popular Christmas song in a lavish musical segment, or by portraying a Christmas celebration as part of larger arching narrative. Many people forget that one of the most popular Christmas tunes ever written, “Have Yourself a Merry Little Christmas,” wasn’t even from a Christmas themed movie; rather it came from the 1944 musical Meet Me in St. Louis. But eventually the Christmas season became such an influential part of our modern cultural tradition, that it would inspire films devoted entirely to the holiday spirit. So, in the years since, we have seen Holiday films become standard practice in Hollywood. Every year, it’s inevitable to see a Christmas movie released in time for the holidays. Unfortunately, for most of them, Christmas movies very rarely achieve classic status. For every one that audiences grow an attachment to, there will be about a dozen more that will likely be forgotten by next December. Evidently, it seems like Hollywood’s approach to the holiday season is less carefully planned out than any other part of the year. Their approach seems to be throwing whatever has Christmas in the title up against the wall and seeing what sticks. Unfortunately, this has led to Christmas being more synonymous with bad movies than good. Some are well meaning films that fall short of their goal like the Vince Vaughn film Fred Claus (2007) or the odd but charming Santa Clause: The Movie (1985). And then there are ugly, shallow and distasteful films like Deck the Halls (2006), the Ben Affleck disaster Surviving Christmas (2004), or the deeply disturbing Michael Keaton film Jack Frost (1998), with the creepy as hell CG snowman. And the less said about the horrible 2000 How the Grinch Stole Christmas remake the better. Overall, it is very hard to make an honestly cherished holiday classic in Hollywood, and that’s mainly because the business just tries too hard. If you look closely, you’ll actually find that a beloved holiday classic may come from the unlikeliest of places. This was definitely the case with what has become not just one of the best loved Christmas movies, but one of the best movies period; that film being Frank Capra’s It’s a Wonderful Life (1946). Capra’s movie tells the story of George Bailey (a flawless Jimmy Stewart), a man who has given so much back to his hometown and has gotten so little in return, reaching the verge of suicide due to his depression. Through the intervention of a guardian angel on Christmas Eve, George is shown what his life would have been like if he never lived and he rediscovers his value and purpose and as it turns out is finally rewarded by those whom he’s helped all his life on the following Christmas Day. The film is very uplifting and perfectly illustrates the true impact that the Christmas season has in our lives. With a theme like that, you would think that the movie was a smash hit when it was first released, but instead the movie was a colossal bomb. It bankrupted the company that made it and ruined Frank Capra’s directing career from then on. The focus on George Bailey’s increasing depression was probably too hard for audiences to take at the time, given that many soldiers were returning home after the end of WWII. Despite it’s initial failure, It’s a Wonderful Life managed to survive through TV airings which happened on, naturally, Christmas Eve and the film not only found it’s audience but it became a seasonal standard. 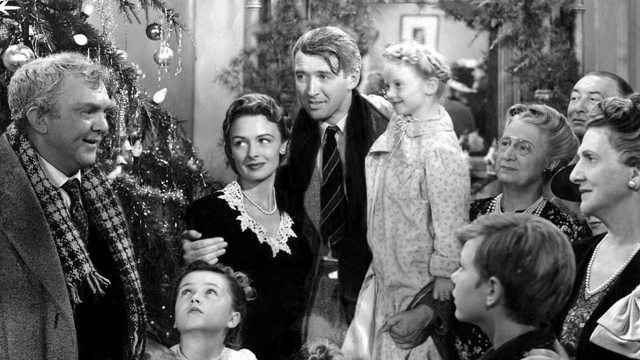 To this day, It’s a Wonderful Life is still aired on network TV (the only classic era movie that still is), and audiences from every generation still embraces it warmly, no matter how old fashioned it may be. Pretty good legacy for a film that started off as a failure. A holiday classic can come from an unlikely place like It’s a Wonderful Life, but for many, what is considered a classic is usually determined by their own tastes. That’s why some people find romantic comedies set around Christmastime to be considered a holiday classic. Case in point, the movie Love, Actually (2003) has grown into a beloved holiday classic, even though the themes in the movie are less about Christmas and more about the intertwining relationships between the characters. By standing out as a strong romantic film with a Christmas setting, it stands to see this film as being an example of two types of genres working together. Cult movie fans even have holiday classics that they cherish, like the weird campy film Santa Claus Conquers the Martians (1964), which can hold the distinction of being one of the worst movies ever made, and incredibly entertaining at the same time. And some people can even claim that Die Hard (1989) counts as a Christmas movie, because of it’s holiday setting. Pretty much it’s whatever we bring with us from our own experiences to the movies that determines what we consider to be entertaining. Like with how most people gravitate towards a movie based on their own interests, so too do we see that with Holiday films as well. Hollywood has in some cases picked up on this and has catered to select audiences at Christmastime with genre specific movies. Usually, it will take a consensus of a large audience to determine which ones will stand out as the undisputed classics. I think where Hollywood hits it mark most often is when it comes to making a successful holiday film that appeals to the memories of our own experiences of Christmas. The film that I think hit a perfect bulls-eye in this regard, and stands as a true masterpiece of Christmas themed film-making, is the 1983 classic A Christmas Story. Directed by Bob Clark, and inspired by the auto-biographical stories of novelist Jean Shepherd, A Christmas Story perfectly captures the highs and lows of a young boy’s experience during the holiday season. Ralphie (Peter Billingsley) is a character who was relatable to any young boy growing up in small town America, myself included, and seeing how he tries so hard to manipulate his parents into getting him his dream present is something every child will identify with. Couple that with the hilarious performance of Darren McGavin as the Old Man and the iconic Leg Lamp, and you’ve got the very definition of a holiday classic. But, just like how A Christmas Story highlights good Christmas memories, we see classic films that also center around a disastrous Christmas experience as well. The best example of this would be the very funny and endlessly quotable National Lampoon’s Christmas Vacation (1989). We’ve had just as many Christmases like the Griswold family as we have like the Parker family from A Christmas Story, and Christmas Vacation just perfectly encapsulates all the bad things that happen at Christmas time, without ever losing the holiday spirit underneath. Not to mention its the last time we ever saw a funny performance out of Chevy Chase. So, despite the low success rate, we as an audience still seem to find a classic seasonal favorite every in every generation. But how does Hollywood keep making bad Christmas movies every year despite the demanding tastes of the movie-going public rejecting all the junk they put out. I think it’s because the season itself is such an overwhelming cultural force, that most filmmakers don’t really care about the product they’re making, as long as it’s holiday themed and ready to capitalize on the mood of the period. When it comes down to it, a great holiday classic is not determined by how soaked up in the holiday spirit it is, but rather by how strong it story works. We keep watching It’s a Wonderful Life every year because of how inspirational George Bailey’s life story is, and not because of the Christmastime finale that has come to define it. In fact, the movie is not really about Christmas at all; it’s about the life of one man and his value to the world. Other Christmas movies usually become classics just because of a wintry setting, where the holiday is not even mentioned. And even films that subvert Christmas traditions, like 2003’s Bad Santa, have become genuine holiday classics to some people. I, myself, love a good Christmas movie, and because I’m such an ardent appreciator of movies in general, these films have certainly become a part of my holiday tradition. I return to It’s a Wonderful Life and A Christmas Story every year and never get tired of them. And not a year will go by when I don’t at least drop one quotable line from Christmas Vacation during this season. I hope every generation gets their own perennial classic that will last for years to come. Just please; no more remakes or sequels. We all saw the backlash that an announcement of a sequel to It’s a Wonderful Life got recently. I only wish The Grinch and A Christmas Story had been spared the same fate. Like too much Christmas dinner, there can always be too much of a good thing when it comes to Christmas movies.